The tool is made of stainless steel and is dishwasher safe, although we do recommend washing by hand. Included with every purchase is an eBook giving instructions and also a list of recipes to get started. 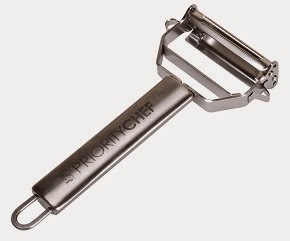 This is a great julienne/vegetable peeler, heavy duty and wonderful quality! It's a little bigger than a standard peeler I have used in the past, but it's still pretty easy to use and I like very much that I could use it in any direction. As a warning, be careful... It is dual sided and the blades of this thing are very, very sharp and you can easily cut yourself while handling or storing. This tool has made it so easy to peel any fruit or vegetable of my choice. 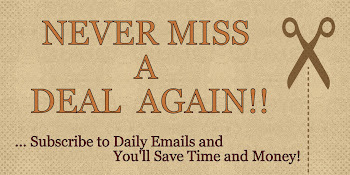 Seriously, I've done so much with this tool. 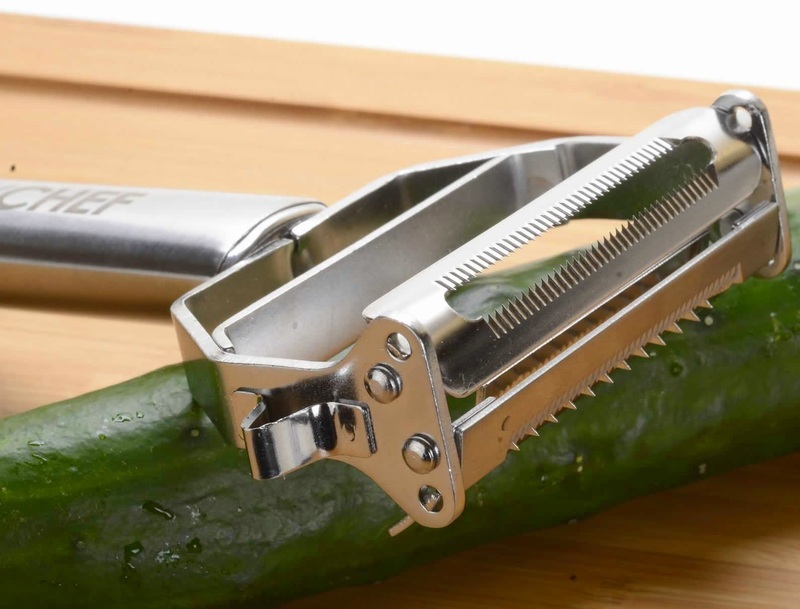 I have used it to slice, peel, shred and make garnish. My husband works in a kitchen and he liked it so much, that he stole it for him to use at work. I also loved that this tool came with a free eBook with recipes and instruction on how to use/handle this peeler correctly. Overall, this is a great kitchen tool performs very well. 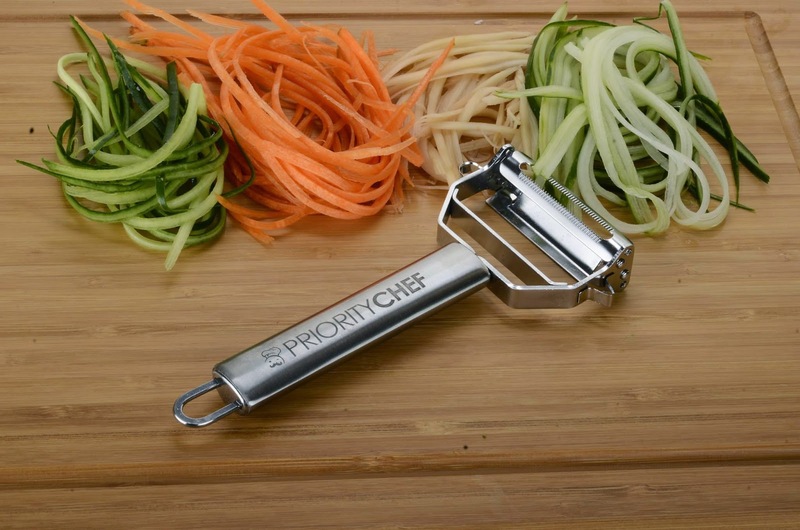 If you would like to try it out for yourself, you can purchase Priority Chef Duel Julienne Peeler - Vegetable Peeler right now from Amazon!